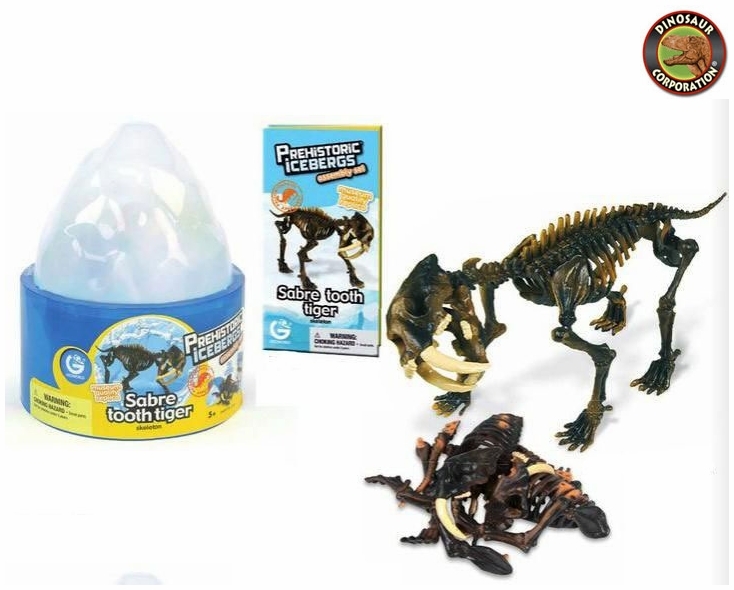 Home | PARTY SUPPLIES | DINO DIG PARTY | SPECIAL OFFER Saber Tooth Cat Skeleton Fossil Replica, 8.6"
SPECIAL OFFER Saber Tooth Cat Skeleton Fossil Replica, 8.6"
Only 2 left in stock. Order soon. Saber Tooth Cat skeleton snaps easily together to create a perfect model to display in your bedroom. This ancestor of the sloth roamed the earth over 2 million years ago, and reached 6.1m in length.